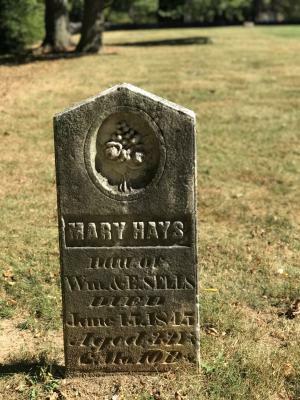 Starting at the library and ending in the Indian Run Cemetery, Becky of Olde Town Ghost tours will lead you up and down High Street to 8 different stops of historical significance. 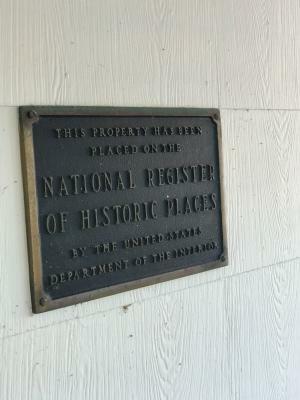 Almost every stop on the tour is on the National Registry of Historic Places. As you go through the tour, you will be amazed to hear how much history lives inside the walls of these stunning, historical buildings. Becky will start your tour off with a quick overview of the history of our great city; some context for stories to come. Next, a stop at Dublin Village Tavern is on the list. While we think of the Tavern as a place to enjoy authentic Irish comfort foods and imported draft beers, it used to be a funeral home. You will love to hear about the history of this property and what some believe are spirits that still linger there. 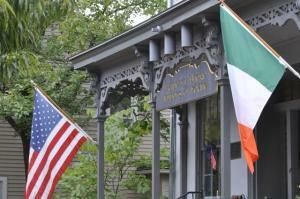 The tour also makes a stop at Ha’Penny Bridge Imports of Ireland, where you will learn about one of the most talked about haunts on the tour. Becky tells colorful stories of leprechauns that move on their own and doorbells that ring when no one is at the door. The next stop, which used to be retail space, is now the Redwood Financial and LPL Financial offices. While this building has been renovated a few times, it does not seem to have deterred Mildred, a spirit who some believe haunts this building. 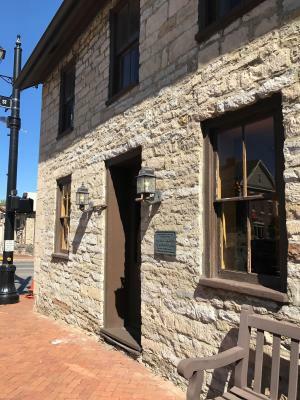 You will hear tales of items of historical significance found in the falls upon the latest renovation of this last location. The current proprietors say they have not experienced any signs of hauntings from Mildred or any other spirit here. Perhaps Mildred will show herself to them very soon. One site on the tour has even been used by ghost hunters, to try to collect evidence of their presence at the site. To this day, those hunters say that the voice recordings they collected at this site are some of the best evidence of paranormal activity they have ever collected. Becky has all kinds of ghostly tales to tell. 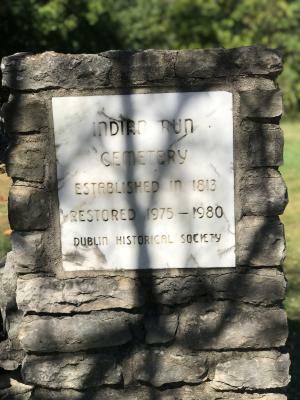 From her own experiences to the stories told by proprietors of these buildings through the years, she has a spooky story for just about every part of Downtown Dublin. Whether you want to join Becky for a group tour on a regular Friday or Saturday time or set up a private tour for your group of 6 or more, you will find that the experience is a one of a kind activity, perfect for October fun. 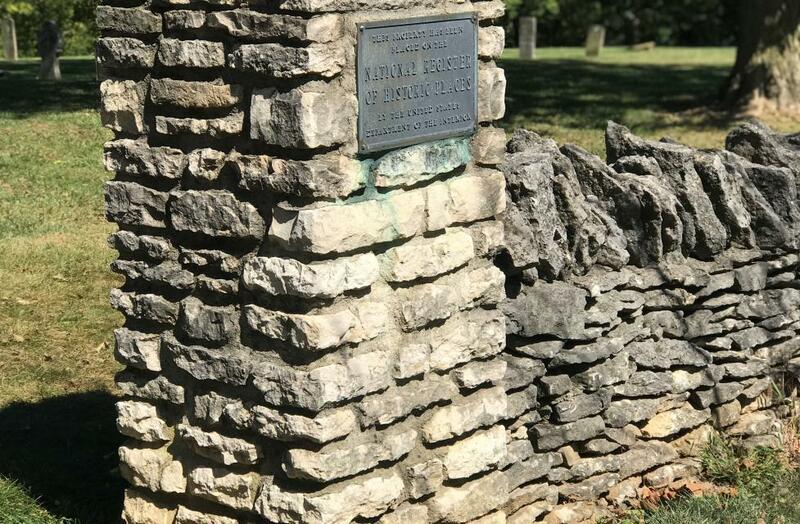 The tour is not recommended for children under the age of 12, as some of the stories may be mature for a younger audience, but Olde Town Ghost Tours allows the child and their parents to decide if they are up for the tour. To learn more about Olde Town Ghost Tours or reserve a spot on the next tour, click here.